Welcome in Spring …with both hands… | Marbella Marbella – Adelante! It certainly doesn’t feel like it but according to the calendar Spring is only just around the corner. As we swap one season for another change seems inevitable. A change in not only the weather (hopefully) but also in our attitudes, the way we feel, our style and our look. We always look to Spring to give us the inspiration to shed our winter-warmers and get into something a bit more colourful and vibrant to match the new season. As if by magic we are given such inspiration by way of a multitude of glorious flowers smattering the landscape with colour and life. Stimulation seems to be all around. For women, Spring is a time of rediscovery and renewal. Just like the flowers that burst into life we too have a chance to bring to life our Spring persona. Heavy raincoats, thick boots and woolly hats are replaced with lighter wear. Spring is a chance for us to metaphorically shed our winter skin and with everything we do and everything we wear welcome in the new season. If winter conjurs up thoughts of black and grey then Spring by contrast is represented by vibrant colours such as red, pink, yellow and orange. 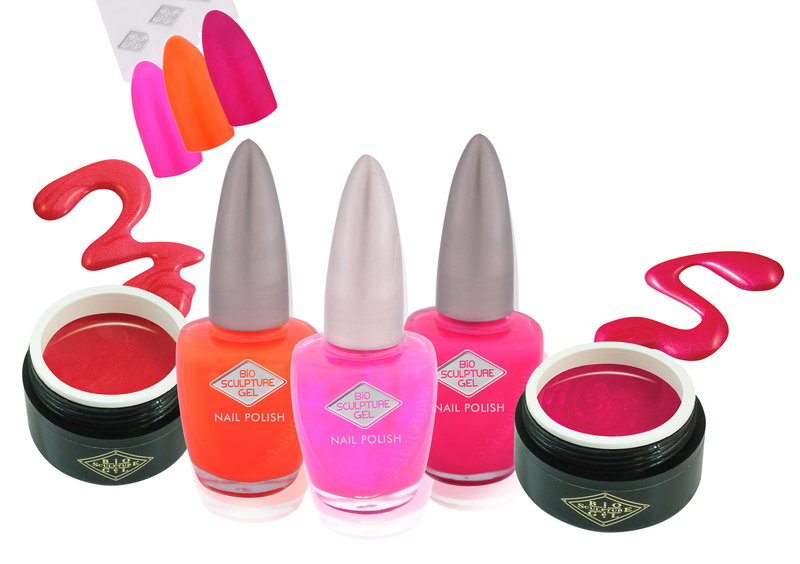 Bio Sculpture, the latest must-have nail care product worn all over the world (and a favourite with the Celebs) is now available in Spain and has recently launched its latest new range of Spring colours for 2010. They’ve chosen bright reds, warm pinks and burnt oranges to give your hands that splash of colour to really emphasise the burst of bright, vivid colour that you only see as Spring begins to take hold. Your hands are your calling cards in life, your nails their focal point. Perfect, beautiful nails and hands say a lot about a person and make a strong statement about presentation. It can be hard however to achieve long-lasting perfect looking nails so often we don’t bother. If you haven’t yet discovered Bio Sculpture, you really don’t know what you’re missing out on. Unlike varnish that chips and peels, Bio Sculpture is a durable, finger-friendly Gel that is applied in liquid form by a qualified technician. The Gel is then cured under UV light to give it that strong, durable, glossy finish. What’s more Bio Sculpture Gel is actually good for your nails! Whilst wearing Bio Gel your own nails will be hydrated, strengthened and care for underneath. Best of all, Bio Gel looks and feels just like natural nails thanks to its flexible qualities and natural ingredients. In addition to the new 2010 Spring colours, Bio Gel is available in over 120 shades so you will always be wonderfully spoilt for choice whatever the season. So as we move from winter to Spring, as change fills the air, make Bio Sculpture nails an essential part of your Spring wardrobe.